ROBERT KATSUHIRO KURE, MD, PHD. More than 15% off for Botox when more than 2 areas are treated. 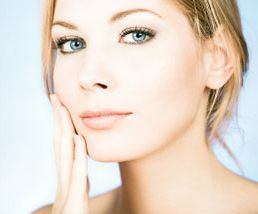 More than 10% off for Hyaluronic acid injection* for the second syringe (*applied to Restylane). 10-20% off for Laser Hair removal if more than 3 areas treated (from the third time). 50% off for the first time Laser hair removal up to 2 areas (See Details). More than 15% off for Liposuction when more than 2 areas treated. *”Golden Week” business hours: April 29 (Mon), 30 (Tue) and May 6 (Mon) – we are open (regular business hours). The office is closed from May 1st ~ 5th. We offer walk-in services for Botox and Restylane treatment that can be done in just several minutes. Our goal is to prevent the ongoing aging process. Detailed anti-aging consultation can be made focusing on your daily lifestyle, supplements, chronic illness, and prevention from free radicals/ultraviolet. Please mention this special offer when you make an appointment! Traditional plastic surgery procedures are done in an outpatient setting or in an affiliated medical center (located in Tokyo Japan). These procedures include liposuction, micro-fat injection, rhinoplasty, facelift surgery, facelifts, mini face lifts, eye surgery (blepharoplasty), non-cutting procedures for Asian eyes, breast augmentation, and more. Many procedures are done as same-day surgeries. These treatments include laser treatments for pigmented lesions, unwanted hair growth, tattoo removal, laser lifting using Titan, and IPL/Photofacial. These non-surgical treatments are available at our clinic in Hiroo, Tokyo. Plastic surgery in Tokyo Japan now available. With plastic surgery in Tokyo Japan all procedures are done by a bilingual surgeon who is U.S. Board-Certified, and trained in both Japan and the United States. The chief plastic surgeon practiced in the U.S. for more than 18 years and completed the UCLA Chief Plastic Surgery Residency Programs. English is spoken. This is the only plastic surgery clinic in Japan, owned and operated by U.S. Board-Certified plastic surgeon. For plastic surgery in Tokyo Japan contact Dr. Robert Kure today. Dr. Robert Kure was the first Japanese plastic surgery resident to be selected as a chief resident in the history of UCLA. Since then he’s treated many celebrities and athletes both in Japan and in the U.S. He has also completed a neurosurgery residency in the US prior to plastic surgery. The doctor has more than 18 years of experience in the U.S., and now are available for consultation in Tokyo. Dr Robert Kure is a featured plastic surgeon with LookingYourBest.com. Anti-Aging Medicine and Plastic Surgery Procedures – services are now available in English. Detailed consultation of your health status, supplements, and nutrition. Optional discussion about hormonal treatments. Non-surgical treatment such as Botox, Restylane. Unhappy results from treatment/surgery elsewhere? Provide pictures from before/after the procedures. Bring operative reports if available. You may e-mail your inquiry to info@plazaclinic.net prior to a formal consultation. Our U.S. Board-Certified plastic surgeon will review and analyze your case, and give you a professional advice. *Nasal Allergy and Stuffy Nose can be treated with non-invasive laser.